In October 2016 I made a decision to stop sending my clients a physical package of their wedding album on a USB. It wasn’t an easy decision, but all-in-all it was the right one. Here’s why I’ve decided to stop sending USB drives to clients and use the magic of online downloads. 1. Online downloads are fast. It means I can cut one to two weeks off my delivery time to clients and focus on taking photos, rather than trips to the post office. 2. USBs are fast becoming redundant technology. I used to send CDs, then I changed to DVDs, then I went to USBs… technology is changing and many new computers don’t actually have a USB slot (now they have USB-C, Thunderbolt etc). It’s pretty obvious… we’re all heading towards a wireless culture so there’s no point hanging on to ageing technology. 3. Formatting and reliability. All too often I work tirelessly to provide a USB, then I get the dreaded email saying that the drive doesn’t work on the couple’s computer. Just the thought of this never happening again makes me ecstatic. 4. E-Waste. Let’s face it, a USB drive is anything piece of plastic that will end up in a landfill. 5. Cost. While the cost isn’t extravagant, it’s another way I can streamline my expenses and give you the most cost effective and efficient service possible. 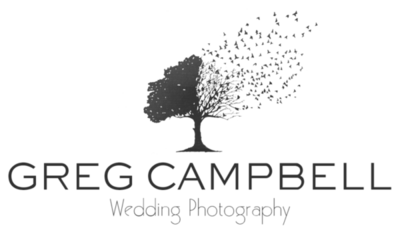 By utilise my website hosting company, Smugmug, I upload the two entire wedding albums to a private galleries on my website. One is in full res (at 300dpi for printing) while the other is low-res (at 72dpi for sharing online). These photos are exactly the same as the ones that would be on a USB drive, they're just stored privately online instead. I’ve actually been doing this for about 5 years, however I’ve always sent a USB too.